The Samsung ML-3560 black and white business laser printer class offers the next step up in speed and volume capabilities, while still maintaining reasonable purchase prices and consumable costs. Fast first page out times, sharp resolutions, powerful processing and high paper input capacities are just some of the features that make this printer a versatile small and medium office machine. Available model variations include options such as Ethernet connectivity, built-in automatic duplexing, Wi-Fi connectivity, a 40 GB hard drive for storage and a second paper tray for doubled input capacity. 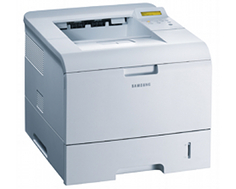 The Samsung ML-3560, ML-3561N and ML 3561ND model variations can print at speeds up to 35 pages per minute. This printer can print the first page of a document in under 9 seconds from a ready/standby state. Print resolutions up to 1,200 x 1,200 dots per inch provide sharp, crisp quality for text documents and some graphics, perfect for producing professional quality business documents. A Samsung 400 MHz processor provides enough tasking power to handle large print jobs and sharing across any size network. 32 MB of standard printer RAM is available for all three model variations, expandable up to 288 MB, allowing for efficient use of both standard and optional Ethernet capabilities across the board. A duty cycle of up to 150,000 pages per month allows for high volume print jobs and fairly regular business document production, handling an average of 5,000 printed sheets each day without compromising reliability, quality or printer life. PCL6, PostScript Level 3, IBM ProPrinter and EPSON print languages are now standard on all variations of this model, improving on the features of previous models. The ML-3560 offers standard built-in USB 2.0 and parallel connectivity, with wired and wireless Ethernet options available as upgrades. 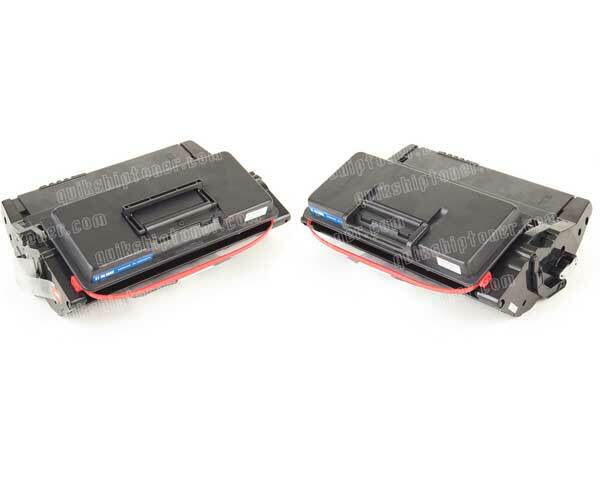 The ML-3561N and ML-3561ND come standard with wired Ethernet connectivity, in addition to the USB and parallel interfaces, with a wireless Ethernet interface as an optional upgrade. All model options come standard with a 600 sheet input capacity, split between a 500 sheet input tray and a 100 sheet multipurpose tray. An additional 500 sheet tray can be purchased as an upgrade, allowing for total input capacity of 1,100 sheets. Supported operating systems include Windows XP, 2003 Server, Mac OS X and a wider variety of Linux builds than previous models, providing increased versatility in a business setting. Printer noise outputs are less than 55 dBA when fully operational and less than 35 dBA in standby mode, making office printing significantly more quiet than with larger, industrial-grade printers. 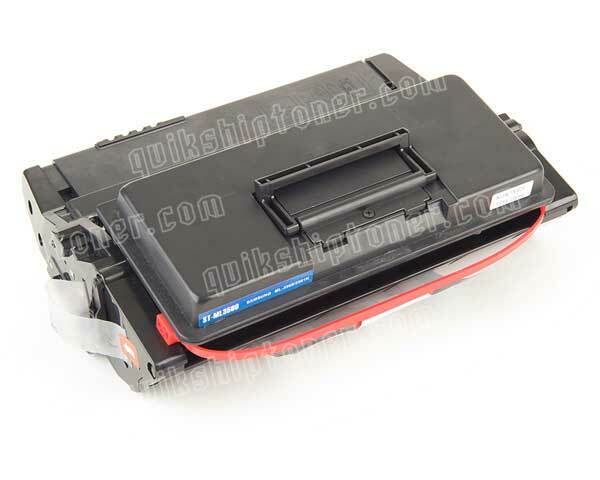 Power consumption is less than 600 Watts when printing and less than 11 Watts in power save mode. Power consumption in power save mode increases by only 2 Watts for models with additional connectivity and duplexing options. Automatic duplexing capabilities can yield print speeds up to 24 pages per minute for a fast and convenient solution for businesses that produce documents and booklets with content on both sides of the page. A small dimensional footprint and a weight of approximately 37.5 pounds allows integration into virtually any home office or small business space and can be placed on any desktop, tabletop or appliance cart. An optional TonerSave feature can extend toner yield by up to 40%, reducing consumable costs and providing better savings for smaller companies that are operating on tighter office supply budgets. An optional 40 GB hard drive can be installed, making it possible to save documents digitally for later use, conserving shared folder space on network servers. Windows Vista and 7 compatibility is not guaranteed, making it potentially difficult to integrate into networks with newer computers. The noise levels are low for office settings, but they can be a little excessive for home office or personal use, or in shared spaces such as study halls and college dormitories. Review it: "Samsung ML-3560 "
The Samsung ML-3560 and its optional counterparts ship with a starter toner cartridge that has a standard yield capacity of 6,000 pages at 5% coverage. Replacement black toner cartridges can be purchased with standard yield capacity, or with a high yield capacity of 12,000 pages at 5% coverage. Toner costs are approximately half a cent per page with average replacement cartridge prices. 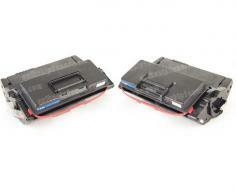 ML-3560 (ML3560) Toner Cartridge 2Pack - 12,000 Pages Ea.